One might think that David Benavidez (15-0, 14 KOs) is a heavy favorite to defeat Denis Douglin (20-4, 13 KOs) in the super middleweight main event Friday at 2300 Arena in Philadelphia (on ESPN), based on their respective records. But Benavidez is only 19, Douglin is a southpaw and the New Jersey native is much closer to home than Benavidez, of Phoenix, will be when they square off. Benavidez won’t be taking Douglin lightly, though, and that’s the right attitude to take into any fight. It’s true that Douglin has won three in a row, by knockout. But the combined records of the three opponents was 44-64-7. Super middleweight David Benavidez has yet to crack the top 15 in the rankings, but at 15-0 with 14 knockouts, the 19-year-old from Phoenix could be knocking on that door. Benavidez on Aug. 5 will try to continue his ascent when he takes on Denis Douglin (20-4, 13 KOs) in the 10-round main event from 2300 Arena in Philadelphia (on ESPN). Benavidez is coming off a seventh-round TKO of then-undefeated Francy Ntetu on June 25. When he steps into the ring against Douglin, Benavidez will be only six weeks removed from that bout. Douglin, of Marlboro, N.J., is convinced he’ll hand Benavidez his first defeat. Sometimes a fight that looks good on paper turns out to be a dud. That was the case Saturday when undefeated Mario Barrios of San Antonio took on Devis Boschiero of Italy in the 12-round super featherweight main event at Sun National Bank Center in Trenton, N.J. The two gave fans 11 rounds of boredom before Barrios finally gave them something to shout about when he decked Boschiero in the final round. Barrios (16-0) won by three scores of 120-107, but the booing throughout the bout seemed warranted as there was little in the way of real exchanges. Boschiero (39-5-1) entered ranked No. 8 by one organization, the same of which had Barrios No. 12. Barrios blamed Boschiero for the boring nature of the fight. 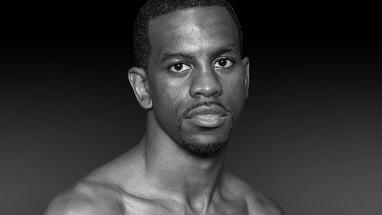 Jamel Herring of Cincinnati is 15-0 with eight knockouts, but he is unranked. That makes his fight Saturday with ranked fighter Denis Shafikov in Reading, Pa., the biggest opportunity of his career to date. The two will square off in the 10-round lightweight main event at Santander Arena (on ESPN). Shafikov, 31, is from Russia. He is 36-2-1 with 19 knockouts and is ranked as high as No. 9. To Herring, a victory over Shafikov could go a long way. As for Shafikov, he has twice fought for world titles with no success. He wants another shot. “I accepted this fight because a win gets us in line for big opportunities, including another shot at a world championship,” Shafikov said. Although we reported this on Friday, Goossen Tutor Promotions on Monday made it official by announcing that the heavyweight title fight between Chris Arreola of Riverside and Bermane Stiverne of Miami will take place May 10 at USC’s Galen Center. It will be televised by ESPN. Arreola (36-3, 31 KOs) and Stiverne (23-1-1, 20 KOs) will fight for the belt vacated by Vitali Klitschko, who relinquished the title so he can concentrate on his political career in his native Ukraine. Arreola and Stiverne have already tangled once, with Stiverne winning a wide unanimous decision over Arreola this past April at Citizens Business Bank Arena in Ontario. Martirosyan (34-1-1, 21 KOs) decked Lozano (28-5, 22 KOs) with a right hand in the second round. Martirosyan won by three scores of 100-89. It was Martirosyan’s first fight under the Goossen Tutor Promotions banner. Martirosyan’s lone defeat came in his previous fight, when he lost a split-decision to Demetrius Andrade in a world-title fight in November. Henry Ramirez, trainer for heavyweight contender Chris Arreola of Riverside, tweeted Friday that he will be interviewed on ESPN2’s Friday Night Fights from Morongo Casino in Cabazon and that an announcement will be made regarding the venue for the May 10 heavyweight title fight between Arreola and Bermane Stiverne. We’re not sure how true this is, but we heard a rumor from a source that says the site will be USC’s Galen Center. One thing’s certain, the fight will be televised by ESPN. Arreola and Stiverne will fight for the belt vacated by Vitali Klitschko. “No Mas,” a documentary chronicling the two 1980 welterweight title fights between Roberto Duran and Sugar Ray Leonard, will premiere tonight at 5 (Pacific time) on ESPN. This documentary, by Emmy award-winning director Eric Drath, will air as part of ESPN’s “30 for 30” series.